Laura Woyasz and Audrey. Photo: Roger U. Williams. 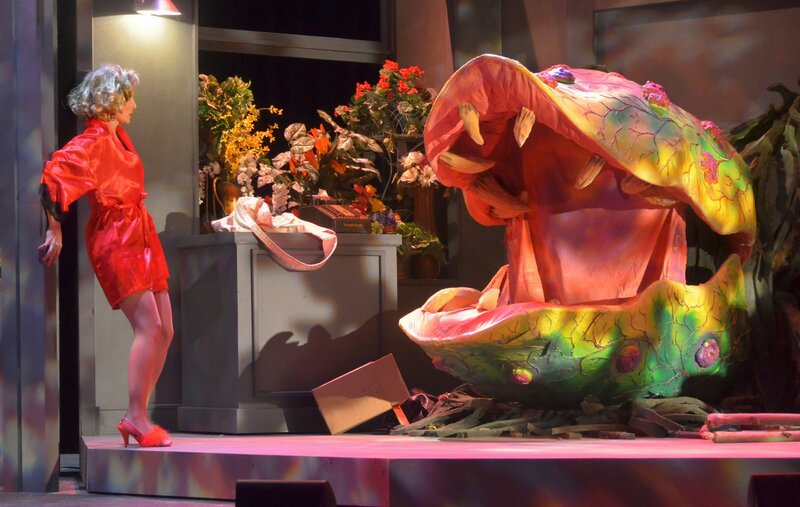 While Seymour’s fame -- and Audrey II’s size -- grow enormously, Seymour tries to hide the secret to Audrey II’s success: the plant lives on human blood. “Feed Me!” the plant demands as it grows and sings (voiced here by Steve Sabol) while Seymour sacrifices first his own blood, then others’ to satiate Audrey II’s hunger.